“The best training to be a reporter or anything else is to work the police beat, because every story you cover is the worst moment in someone’s life. If you can learn to get the right information under those circumstances, you won’t be fazed by the high and mighty and certainly not by the on-the-make politicians and spin doctors. “Which is why I want to add a paragraph or two to the rash of stories lately about cops gone wrong. This is not about them. This is about all the cops you don’t read about. They deal much of the time with the dregs of our society. The schemers, the murderers, those who prey on the weak. And most of the time, the police deal with them humanely, and as they should. This is so very true. God bless all of the police. They go through Hell at times, but also all the Good work they do too. Thank you, the men and women that go out and do a fabulous job every day need all the support they can get. Kathleen Nolan O’Malley, Ret. Chicago Police Sgt. 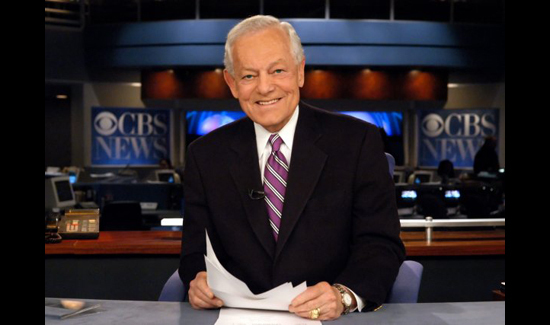 Thank you Bob Schieffer for identifying a problem of perception about what all police and law enforcement do. There are many good and heartwarming stories, but guess what good news does not sell. Bad news does. What a professional news reporter this gentleman is. Thank you dad for being a Sheriff and helping others. Thank you for working hard in the community and loving what you do. Thank you for teaching me right from wrong and setting a great example for your family. Thank you for helping people that are less fortunate than our family. Thank you for being you and for being my DAD. Thank you so much for your comments about all of the cops that risk their lives, simply to help those in need from the scumbags, thieves, child molesters, spousal abusers, and plain old murderers and so many others. My son is an LAPD officer with more than ten years experience. He has a college degree in business with a major in criminal justice from a large well respected university and chose to follow his passion. He has also chosen to work in the worst divisions, relating to crime, since his tenure in LAPD because he believes the good people in those communities (primarily minority and he is not) are the ones that need the most protection and help. He has done this regardless of the concerns of his mom and me, his wife and others. He has done this not because he wants to shoot anyone (God knows whet paperwork and investigations of use of force alone by the department would in and of themselves dissuade one from doing such a thing, let alone the unwanted publicity and jeopardy to his career movement), but because he truly cares and believes that the police are that fine line that protect our society and its residents from chaos. (from which buy the way the poor and under served are mostly minorities and would suffer them most). SO AS PARENTS OF A LAW ENFORCEMENT OFFICER WHO HAS A PASSION TO STAND UP FOR THE PEOPLE OF OUR COMMUNITY AND PROTECT THEM AND PUTS HIMSELF ON THE LINE AS NO OTHER PROFESSION ON A DAILY BASIS UNDERSTANDING THE RISK HE PLACES HIMSELF IN. DAILY. …… let me thank you for your comments and God Bless you. Thank you Bob Schieffer for addressing a very serious perception problem in America! There are many good and professional law enforcement officers out on the streets serving their communities. Deputy Chief Thomas Santarlas (Ret). Thank you for your support and reporting about the thousands of police officers that don’t get into the news on a daily basis for wrong doing.